Download the Great Commandment Network App. ​ Encourage your pastors to try some of the Reboot Spiritual Life prayer experiences as part of their retreat. Click here to learn more and get started! Care4Pastors.com is a tremendous resource for finding ways to bless, honor, and support pastors and their families. 1. Download the 50 Ways to Bless Your Pastor flier, the Presentation Guide, and certificate for a planning meeting with your deacons, elders, or lay leaders. Make plans to affirm each of your ministers and families. 2. 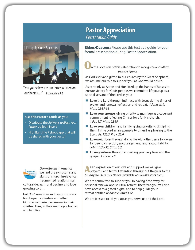 Schedule the appreciation event, service, or reception and promote them using the resources on the October Free Resources page. (Poster, bulletin insert) Make sure to edit the poster and certificate to include ministers' and family names, plus date of appreciation event. 3. Download the Great Commandment Network app, in the App Store or Google Play, to familiarize yourself and then assist your ministers in doing the same; The Reboot Spiritual Life program in the app is a perfect resource for your pastor's self-guided Reboot Retreat. 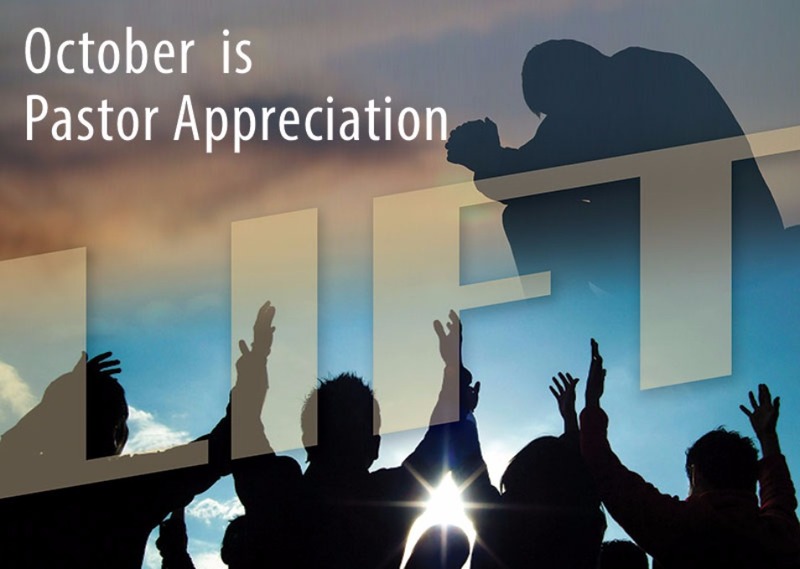 The Reboot app and ministry discounts are a part of the Lift Pastors Appreciation initiative and brought to you by the Great Commandment Network and their Reboot Leaders resource team. 4. 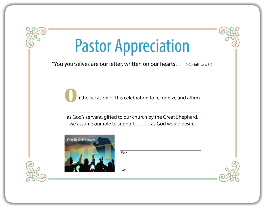 At your appreciation event, present the Appreciation Certificate (after editing names), and any gifts, then print and distribute the bulletin insert entitled, "50 Ways to Bless your Pastor" for your entire congregation.